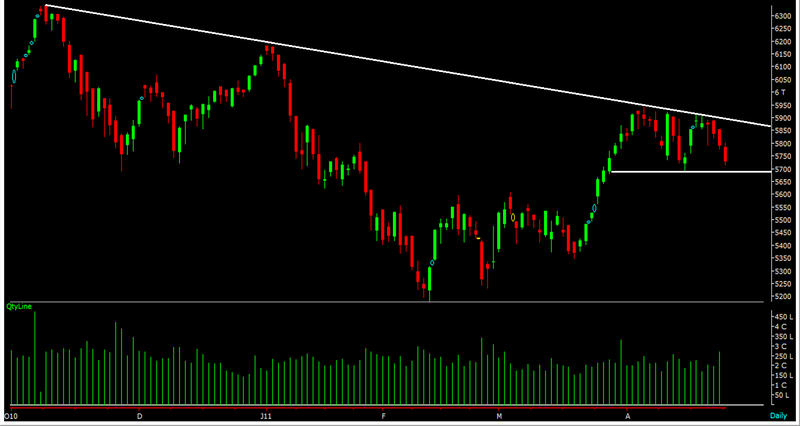 Nifty Daily Chart: Will 5690 hold? 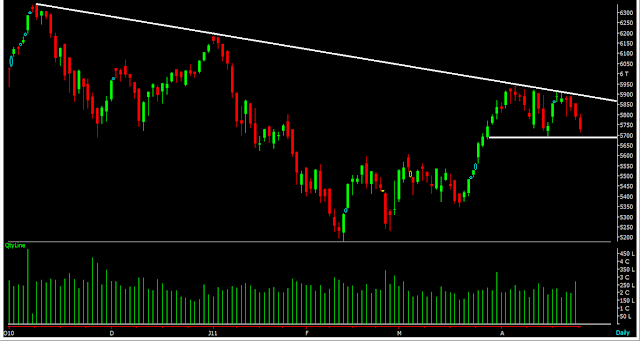 Selling in Nifty intensifies during the afternoon session today. Will 5690 hold is a key factor to be looked on. If it holds then we are about to witness another round of upside next week. Well we are looking for the close of this week as of now.